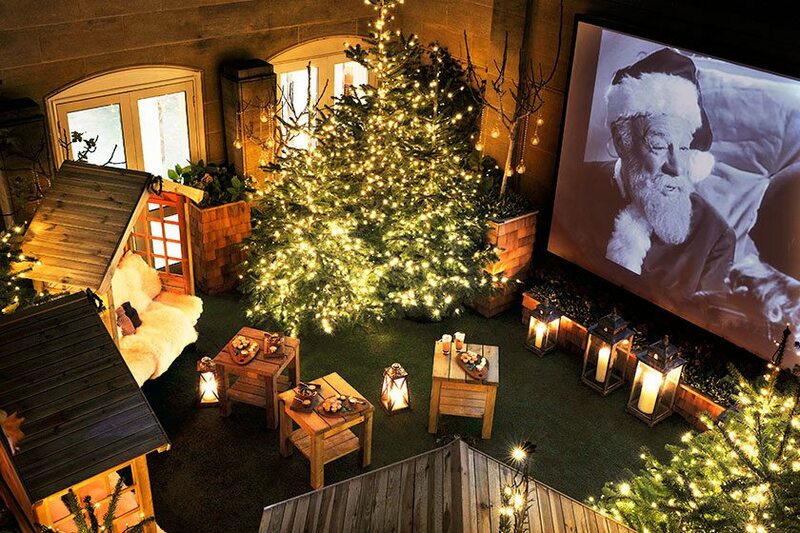 This December, snuggle up at The Berkeley’s roof-top garden, which will be transformed into a magical winter open-air cinema, complete with sparkling Christmas trees, hot chocolate and mince pies. This intimate cinema (there are only six seats) will be showing a variety of old-school winter favourites, including Miracle on 34th Street and Elf, which guests can enjoy with a glass of mulled wine, in chic wooden cabins lined with fluffy sheepskins. A special Winter Cinema package for Londoners is available at £70 per person and includes access to the movie theatre, copious amounts of hot chocolate and home-made mince pies. 1-31 December. To make a reservation please call the Berkeley Health Club & Spa on 0207 201 1699. Wilton Place, Knightsbridge, London SW1X 7RL. Give yourself the gift of great views and great food this Christmas. 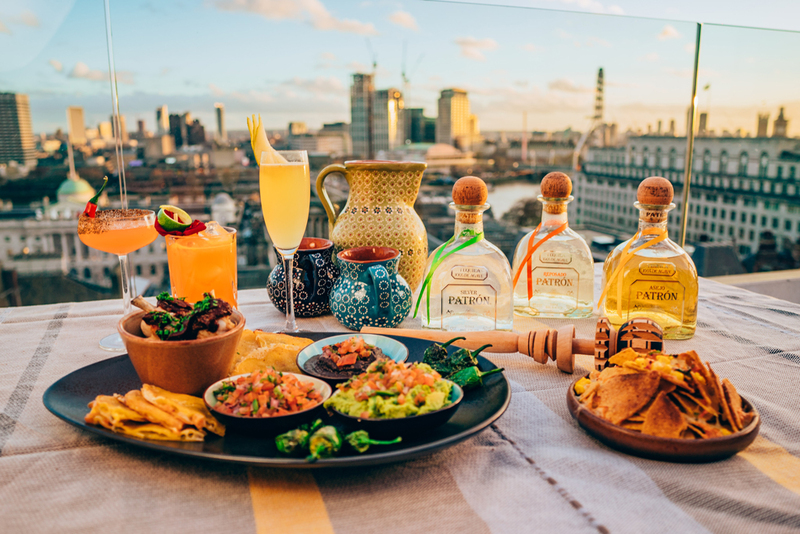 From the famed pop-up master Jimmy Garcia, The Lodge on The River will be the perfect festive escape from city life. There will be a first-floor restaurant, The Refuge, which will serve a classic fondue menu and require tickets, while the ground floor will house the grab-and-go Winter Grill serving tasty treats such as Raclette Burgers and Aspen Fries. Passers-by can also get involved at the heated outside bar full of hot toddies and cocktails, perfect to sip over the fire pits. If you feel like immersing yourself completely in the festive spirit, there are a select few Snow Globes along the river bank with unrivalled views over the city. They seat up to 10 and provide dinners with canapés, the Alpine fondue and the option of Côte de Boeuf. November 9- 31 December. Southbank Centre, Belvedere Road, London, SE1 8XX. The breathtaking landscapes of Kew Gardens are transforming into a magical after-dark experience this winter. As twilight falls, the magic begins with numerous winter inspired features, including a glittering mile-long trail of Christmas trees and a tunnel of lights. The glowing waterside reflections of explosions of colour set against the iconic Palm House will leave guests enchanted, while the Fire Garden will be looking splendid with an array of snowdrops and Christmas roses. Father Christmas and his elves will keep children entertained as they busily prepare Christmas gifts in the grotto, and there is some good old-fashioned fun in the shape of a Victorian carousel and some other family rides. There are also some tasteful Christmas pop-up shops selling market gifts – perfect for stocking fillers. Christmas at Kew Gardens takes place from 22 November to 5 January between 5-10pm. Ferry Lane, TW9 3AF. If you want to feel like you’ve just come off the slopes then make sure you stop by the Piste Winter Bar. Complete with fur-lined seats and antlers hung on the walls, this is where you’ll want to be during the winter months. 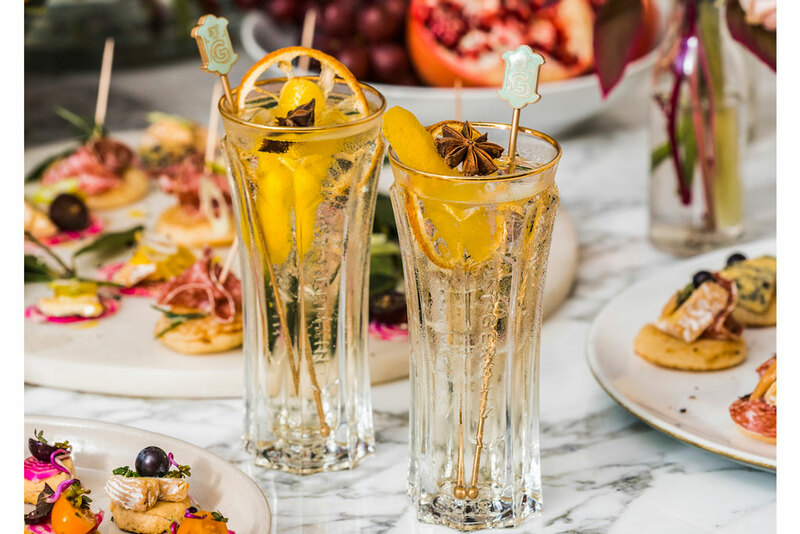 Whether it’s just for an after work drink or a big celebration you’ll feel like the epitome of festive spirit whilst you’re sipping on a ‘Last Christmas’ cocktail full of Gin, Cointreau, Cherry & Cinnamon Purée, Apple Juice & Lemon. So grab your skis and head on over! From 25, October. 3-4 Archer Street, South Soho, London W1D 7AP. The famous afternoon tea in The Palm Court with a Christmas twist. Enjoy your afternoon tea accompanied by the sound of carol singers and surrounded by tasteful Christmas decorations. Choose from 18 different types of tea, delicate sandwiches and traditional scones. Adults receive a glass of champagne and children a Ritz teddy bear. £80 per adult and £50 per child, make a reservation here. 150 Piccadilly, St. James’s, London W1J 9BR. If you can beg, borrow or steal a ticket to see Father Christmas at his quintessentially traditional grotto in Harrods then be sure to do so. It is the perfect way to get your little ones in the mood for Christmas and each child is given a present by Father Christmas himself. Be sure to keep a lookout for Christmas 2018 tickets when they go live on the Harrods website. A booking fee of £10 per child is required. 87-135 Brompton Rd, Knightsbridge, London SW1X 7XL. Worth a visit purely for the Instagram opportunities, this beautiful terrace is currently in its Autumnal iteration, but soon will be transformed into a winter wonderland for the festive period by Nikki Tibbles at Wild at Heart. Enjoy a menu filled with cheese fondue, cosy cauliflower cheese, mulled cocktails and Pierre Marcolini boozy hot chocolates, for a festive tipple or two. You’ll need to get in there quick, as they are booking up fast… Book here. 16-22 Great Russell St, London WC1B 3NN. London’s alternative festive experience will be hitting Clapham Common this season with its first-ever Ice Rink and Wasted Chic Christmas Market. Featuring Street Feast, Backyard Cinema, Plonk Golf and Solo Craft Fair, there is also a massive entertainment programme lined up to suit all ages. 15 November – 23 December, winterville.co.uk. 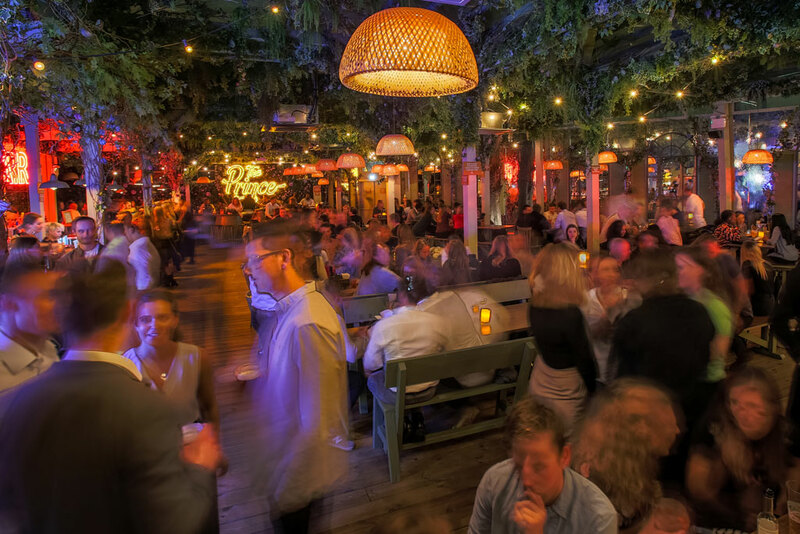 Winterland London returns in style this festive season with a brand new theme to match. Taking inspiration from the slopes of the Alps in the 80s and 90s, Winterland will transport guests back in time to a cosy, festive winter playground. Jimmy’s Lodge will be on hand to serve delicious fondues and schnitzels, best enjoyed in the warmth of a heated winter lodge and washed down with some mulled wine and winter warmer cocktails from Moose. And for those more playful Alpine explorers, a karaoke booth, curling lanes, beer pong, putting pong, table tennis and more can be found within Fulham’s very own ski resort. From 8 November. Winterland London, Wandsworth Bridge Road, Fulham, London, SW6 2TY. Experience a bit of France in Marylebone this winter at The Langham hotel’s elegant courtyard, brought to you by Grey Goose vodka. Snuggle up with a blanket in a rustic hideaway where you can enjoy warming cocktails and festive treats straight from the woodfire including Pomme De Terre Au Four (fancy baked potatoes) and a delicious warmed Vacherin Mont d’Or. Open from 4pm until 10pm Wednesday to Saturday, booking recommended. Fondue fan? 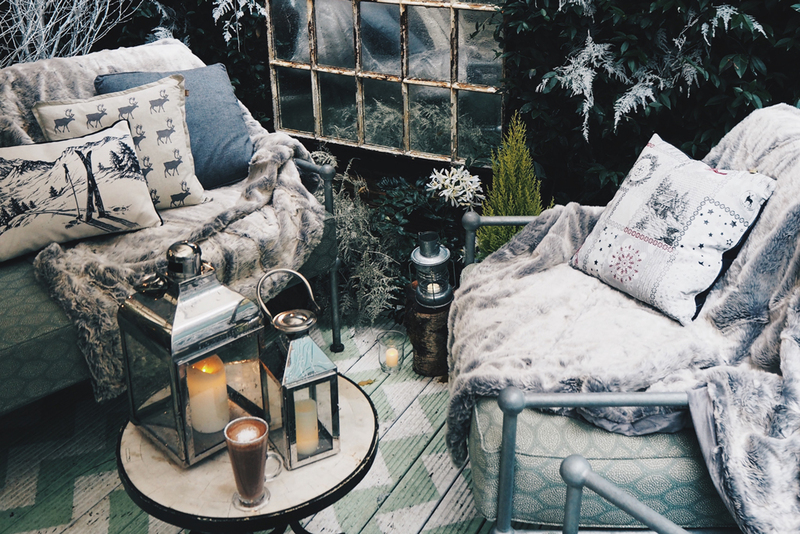 Head to Belgravia’s Hari Hotel for their winter terrace in partnership with Moët & Chandon. Guests can dine on both sweet and savoury fondue: begin with lots of cheese, served with homemade baked bread, vegetables and charcuterie, before getting stuck into the Italian dark chocolate fondue, with dipping tools including doughnut balls, marshmallows and a selection of seasonal fresh fruits. Enjoy alongside a traditional festive drink of Eggnog or with a glass of Moët. 12 November-6 January 2019. For further information please call the hotel on 0207 858 0100. The fondue menu is for a minimum of two people and prices start from £16.00 per person. Enjoy champagne in the clouds at Sky Pod Bar’s Frozen Garden in partnership with Moët & Chandon, an icy winter oasis 155 metres into the sky. Seasonal cocktail offerings include ‘Truffle Hunting’: a tasty concoction featuring Drambuie, Frangelico, honey-truffle syrup, egg white and chocolate bitters and ‘Sweet Temptation’, a boozy hot chocolate spiced up with Disaronno, cinnamon syrup and Hennessy. From 4 December they’ll be hosting a number of yuletide live music nights there, complete with mince pies and mulled wine to kick off the festive season. Secure your booking in advance, or walk-in from 6.15pm on weekdays and 9.15pm at weekends. German Gymansium’s terrace has been transformed into a festive toymaker’s workshop, complete with cosy wooden huts, vintage toys and winter foliage. Sip on warming gin cocktails from gin brand Monkey 47 and fill up on roasted chestnuts, Bratwurst German sausages or oyster and caviar if you fancy a bit of luxury.